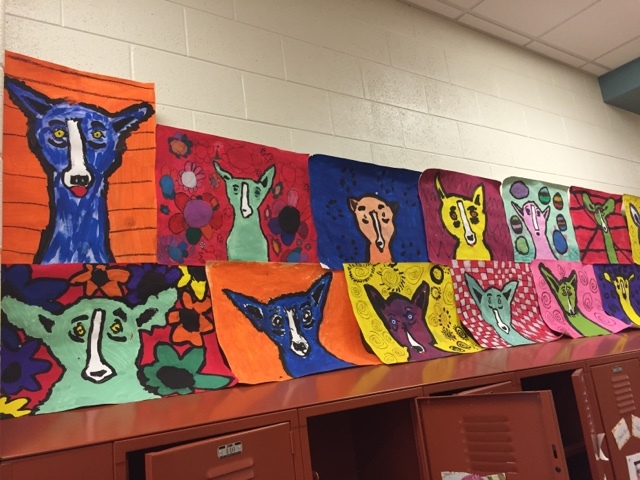 In 3rd grade we learn about George Rodrigue and his paintings of Blue Dog. We read a story about why blue dog is blue and find out that blue dog is blue like the sky. 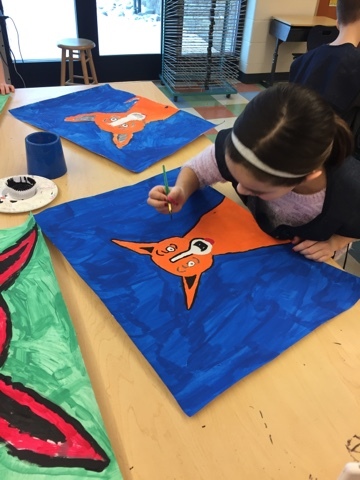 George Rodrigue draws his creativity from things around him. And just like the sky is everywhere, so is his imagination! Students were able to choose their favorite color for blue dog and then use it's complimentary color for the background. We finished it off with some patterns!